Only those who have the fortunate opportunity to witness or to acquire the art of surfing can know the tremendous thrill that comes from following the sport. 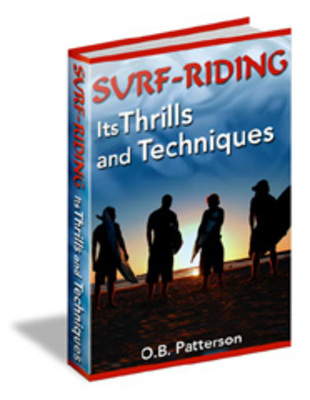 I had the good fortune to witness a surfing contest in California twenty-five years ago and immediately succumbed to its exciting thrills. I still remember the pleasure I experienced while watching those trim surfers race across the crest of mountainous walls of white water as they came charging on their boards to my very feet. holidays have united surfers from many nations in friendly competition, thrilling thousands of spectators as the contestants vie for honors and victory over the challenging sea. It is through the intense interest and assistance from enthusiasts such as O.B. Pat Patterson, whom I have known for the past twenty years, that this stimulating and ancient sport has gained such popularity around the world.